As the 2017 season starts, every team has a prayer of making it to the World Series. 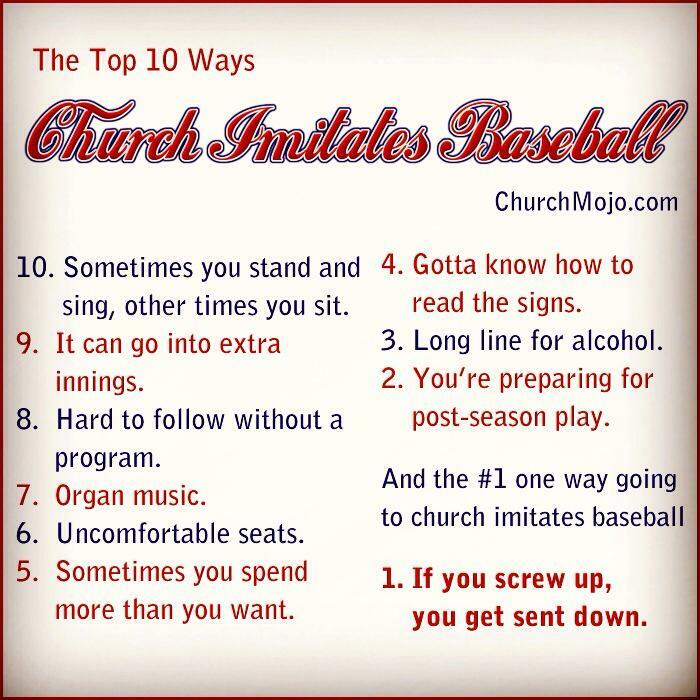 And speaking of prayer, did you ever notice that going to church is a lot like baseball? Church prepares you for baseball. Or maybe it’s the other way around? 10. Sometimes you stand and sing, other times you sit. 9. It can go into extra innings. 8. Hard to follow without a program. 5. Sometimes you spend more than you want to. 4. Gotta know how to read the signs. 3. Long line for alcohol. 2. You’re preparing for post-season play. 1. Ultimately, if you screw up, you get sent down. If you’re making a good Lent, you’ll have a clean slate just like all the Opening Day teams. Enjoy your season and step up to the plate to add to the list with your own similarities.